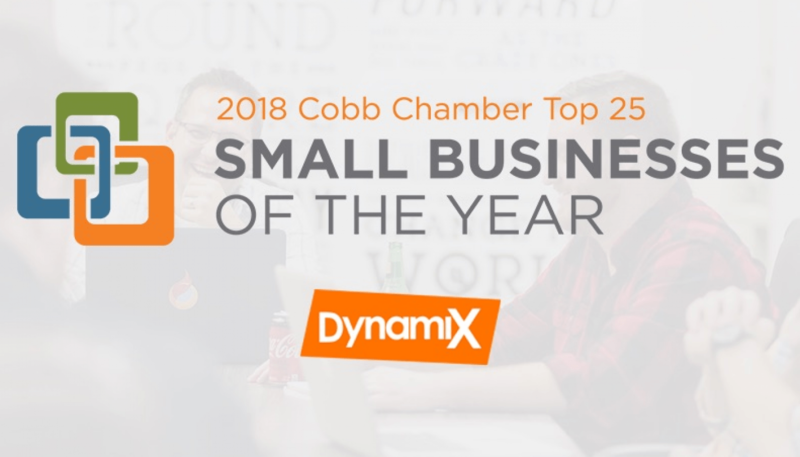 DynamiX is thrilled to share that we have been named as a 2018 Top 25 Small Business for Cobb County! In total, we have been recognized in 2016, 2017 and 2018 as our company continues to grow and evolve, serving customers in Georgia and beyond. Our sincere thanks to the Cobb Chamber for this awesome honor!